If you believe the movies, you'd think Houston was full of cowboys and oil barons in bolo ties. But this city of 4 million people — many of whom are transplants from other parts of the country and around the globe — is much more fashion-conscious than Hollywood often portrays. 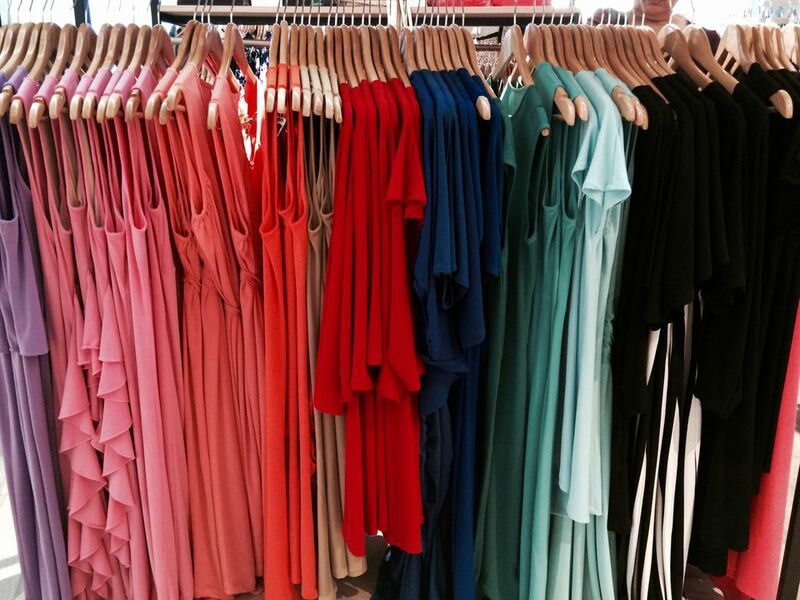 Here's what you need to know about what to wear when coming to Houston. 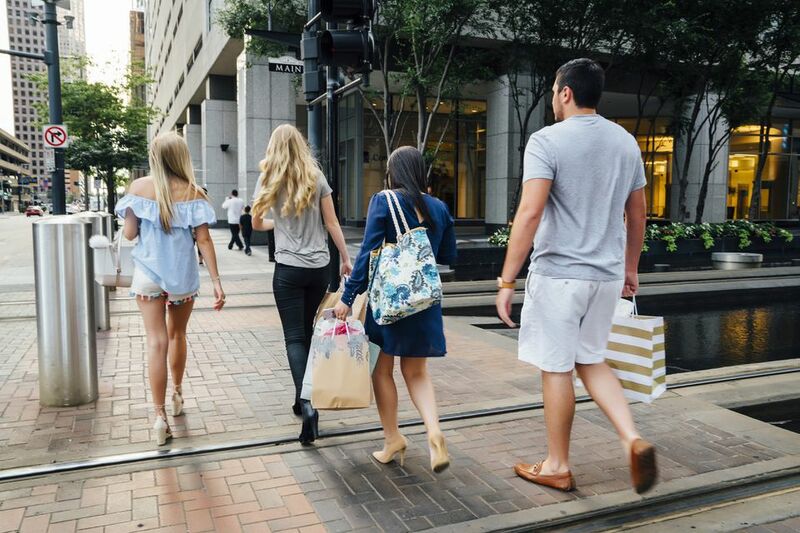 As one of the biggest cities in the country, many Houstonians typically dress in the same vein as New Yorkers or Chicagoans. That is, erring on the side of business casual. Think clean, pressed button-downs and blouses, dockers, and sheath dresses. Even for those who don't work in a place where business casual is the uniform, dressing "nice" is the norm for going to restaurants, stores, and museums. If jeans are worn (and they often are), they are well-fitting, stylish, and typically paired with a nice top. ...But More "Casual" Than "Business"
That being said, Houstonians like being comfortable. Neckties and full business suits are often limited to law offices, top business execs, and salespeople — and even then typically only in work settings. Blazers on men are rare in casual environments, and you're more likely to see fashionable flip-flops on women than 3-inch heels. Even in Downtown high rises, open-neck button downs and simple cardigan/khaki combos are the standards. Houston’s annual average temperature hovers around 70 degrees Fahrenheit, so why recommend sweaters? Because when the heat picks up outside, air conditioning kicks on inside in a very big way. It's not unusual for there to be a 30-degree temperature difference between Texas' sweltering heat and the frigid air-conditioned buildings, buses, or train cars. Regardless of the time of year, dressing in light layers will help you adapt to whatever environment you walk into. In the dead heat of Houston summers, that blast of cold air feels great for a minute or two, but after a while, you'll be glad you brought a sweater. Sure, it can get a little chilly from December to February, but for most of the year, expect to be peeling off light layers, not piling on thick ones. In fact, many Houstonians don’t bother owning heavy winter coats — instead opting for layering sweatshirts or sweaters under lighter jackets. With only a few days out of the year where temperatures approach freezing, it’s just not worth it for most people. Weather in Houston, however, can sometimes be unpredictable, so this recommendation comes with the big caveat that, of course, you’ll want to check the forecasts. The one homage to Houston's Wild West roots is the ubiquitous cowboy boots. You'll see them peeking out under slacks on men or with skirts or dresses on women, and of course, paired with jeans of all cuts and colors. Cowboy boots are found throughout the city all year round, and as a result, so are boot stores. Some of the best spots to grab a pair include Al's Homemade Boots in Houston's Midtown or area chain Cavender's Boot City. For gently used and vintage boots, you can also check out the quirky second-hand shops in the Heights and Montrose areas, which are destinations all their own. Houstonians might love their cowboy boots, but the same cannot be said for the rest of the cowboy ensemble. Long gone are the days of cattle ranging inside the city limits, and with them, the wide-brimmed wonders. The one very real exception to this recommendation is the Rodeo. The Houston Rodeo and Livestock Show is a month-long celebration of music, food, animals, carnival games and, of course, rodeo shows, and the event doubles as an opportunity for city folks to indulge that deeply seeded desire to be cowboys. It's a big deal in Houston, and families look forward to it all year. The event takes place at the Houston Texans’ NRG Stadium, and people travel from all over the world to enjoy the spectacle. If you’re going to the Rodeo, you’ll definitely want to wear a cowboy hat. Otherwise, maybe leave it at home. Houstonians have a bit of a reputation for being a bit ... well ... large around the middle — the likely result of the city's horrible commutes and delicious (read: fatty) diet. But that doesn't mean there aren't plenty of health nuts, too. Houston has tons of hike and bike trails inside the city and great fitness centers that are always full of people. As a result, you'll see people all over the city in workout gear, including restaurants. While this might seem contrary to the "business casual" recommendation made earlier, similar rules actually apply. Houstonians tend to dress up, rather than down, even when it comes to workout wear — opting for yoga pants with color-coordinated tops and headbands, or running pants that match their shoes. You might love that old tattered t-shirt with the stretched-out neckline and frayed hems, but you won't see many Houstonians sporting the same. Those old comfy favorites are fine while working out​ but maybe change out of them before heading to a common public space. And perhaps grab a shower first and brush your hair, too. Some visitors to Houston are surprised to find out that the city gets more average rainfall than Seattle. On average, the Bayou City gets 106 rainy days a year. Often this rain comes with little warning and falls in large, powerful sheets. Houstonians typically keep an umbrella with them at all times, stowing one in their car, handbag or backpack. Small, discreet ones are great if you plan on carrying it with you all day, but just a word of caution: When the rain picks up, sometimes the wind can, too, and in the battle of the rain gusts, those tiny umbrellas lose every time. Opt instead, if you can, for something sturdy that won't fly away when you need it most. This recommendation is more about pragmatism than style. Even in the midst of heavy rain, Houston can get hot, making any additional layers — however impermeable — often too stuffy for comfort. Rain in Houston also has a nasty habit of coming in short but powerful bursts, making it unlikely that raincoats or ponchos will be able to keep out much of the water. When it's not raining, Houston weather can range from pleasant to scorching. The city clocks more than 2,600 hours of sunshine every year, and it's not uncommon for drivers to be nearly blinded by the sun bouncing off of Downtown's sky rises and paved highways. Which is why many Houstonians have a pair of sunglasses on hand. Styles tend to be more muted — no flashy colors or wacky frames —with as much emphasis on function as fashion. As mentioned before with other recommendations on this list, Houstonians like to look nice and well put-together, but they also like to be comfortable, and that extends to their eyewear. Even so, large, floppy hats are not a part of the standard Houston wardrobe. Unless, of course, you're going to the beach. If you're headed to Galveston, Crystal Beach, or La Port, then, ​by all means, wear it proudly. Just be sure to pack the sunscreen as well.